Bamboo containment utilizing a rhizome barrier is an effective method to control and contain bamboo growth along a property line, or to surround bamboo entirely. NJ Bamboo is a national leader in containing bamboo, installing over a mile of rhizome barrier in 2015 throughout NJ, PA, NY and DE. NJ Bamboo utilizes 30 inch 60 mil HDPE rhizome barrier for most temperate running bamboo species in the North East . 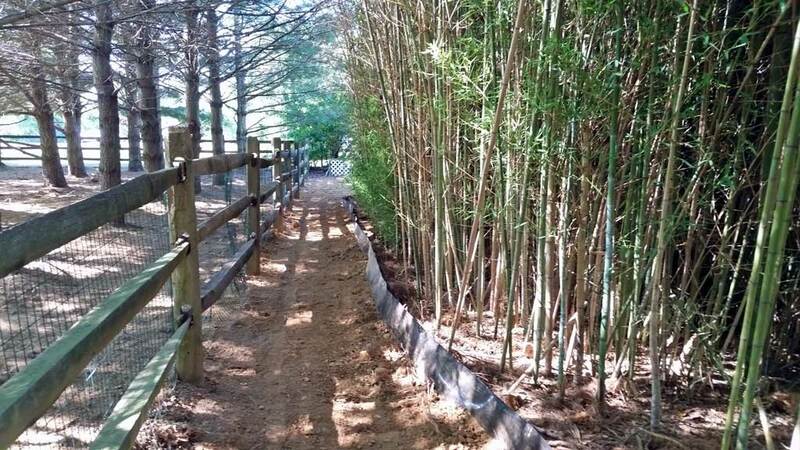 The barrier is installed about 27 inches into the ground around the bamboo, or along a property line, leaving a 3 inch lip above the ground to control jumping roots.